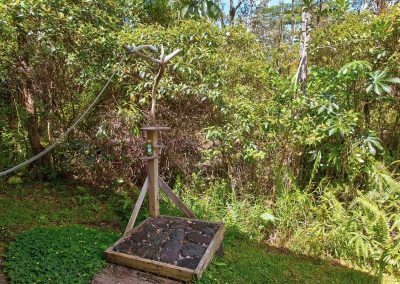 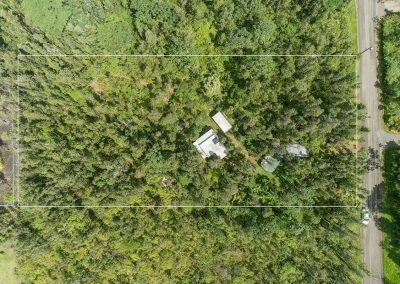 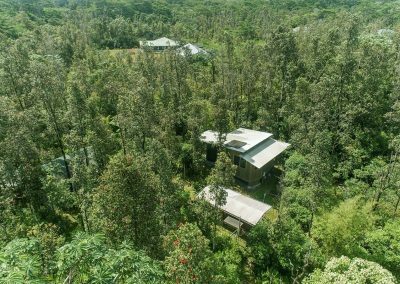 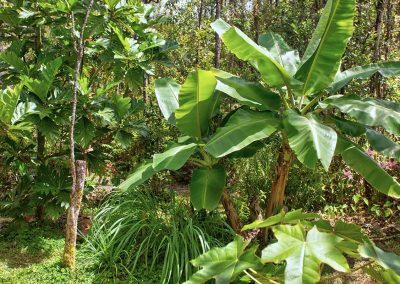 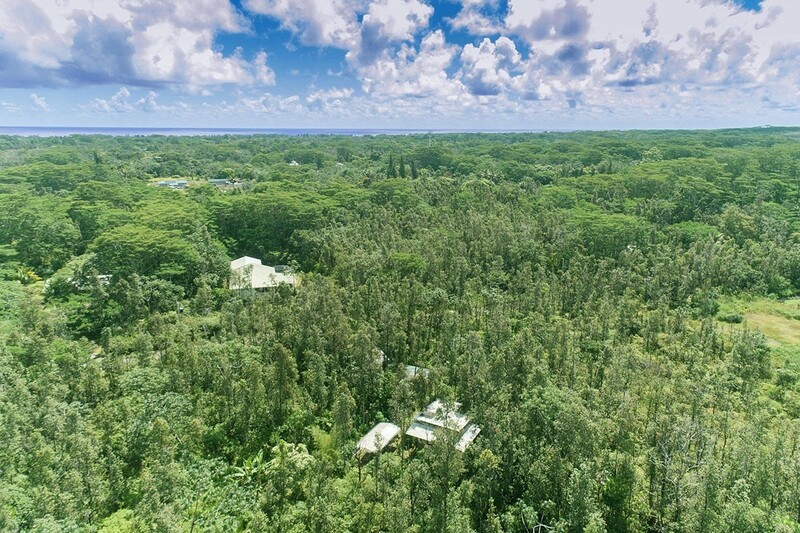 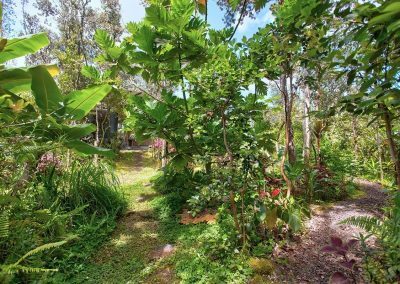 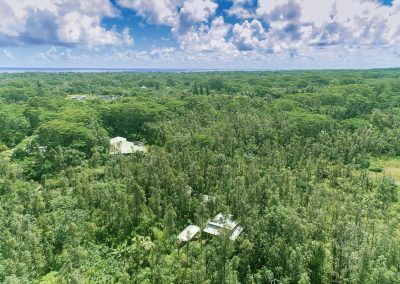 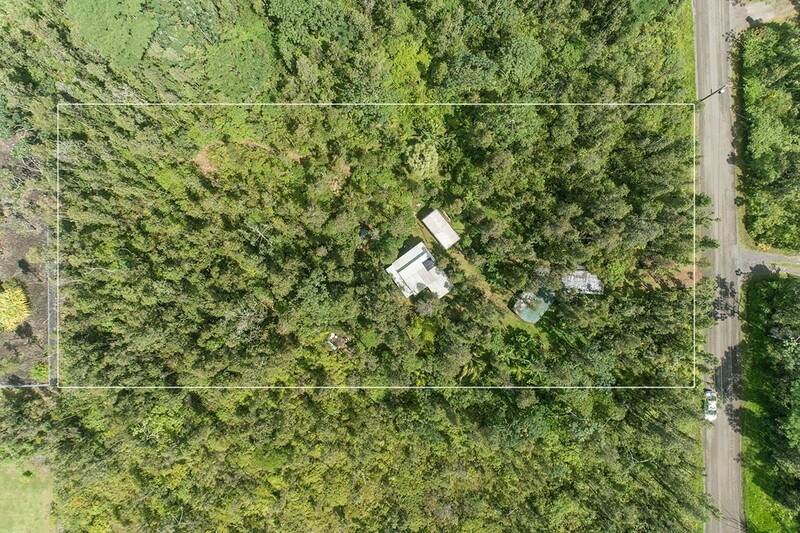 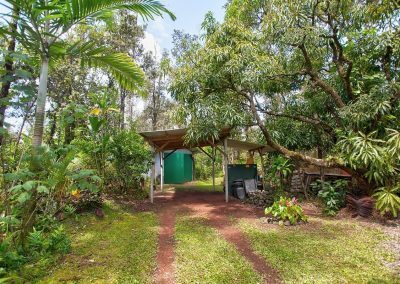 Gated, hand cleared lot with tucked away cabin on 1 acre property in the conveniently located Hawaiian Paradise Park subdivision. 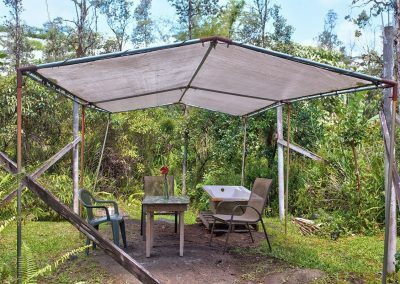 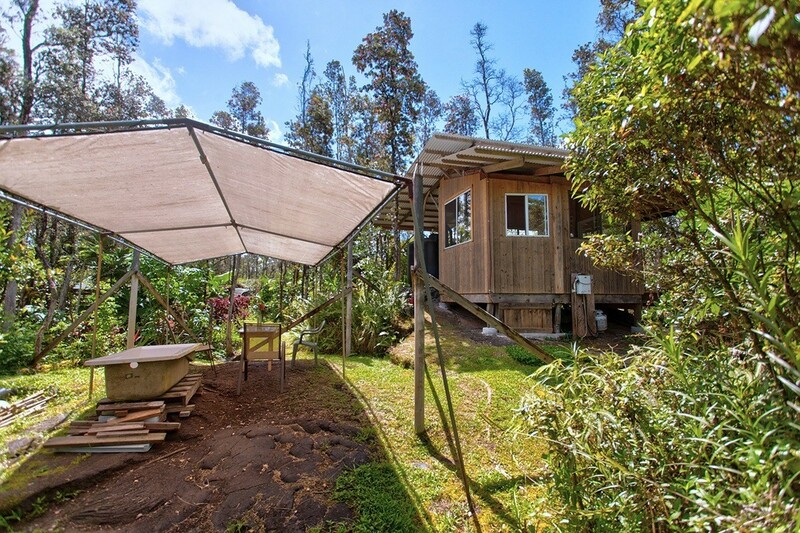 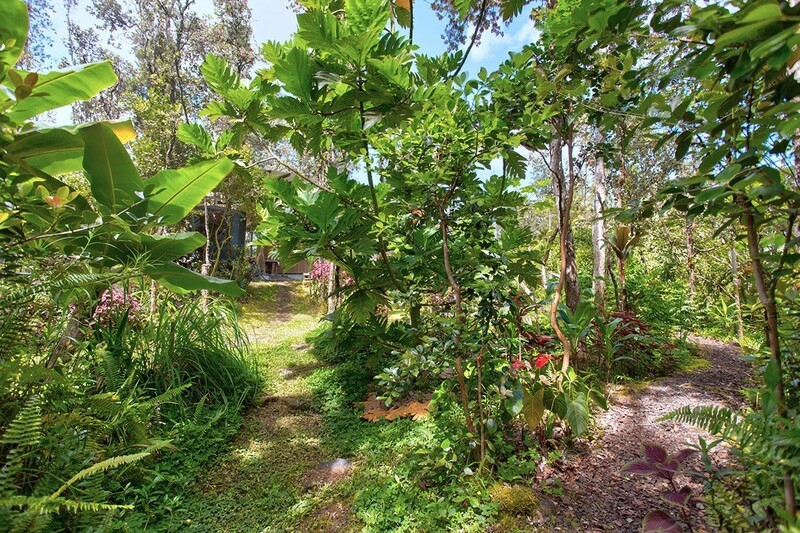 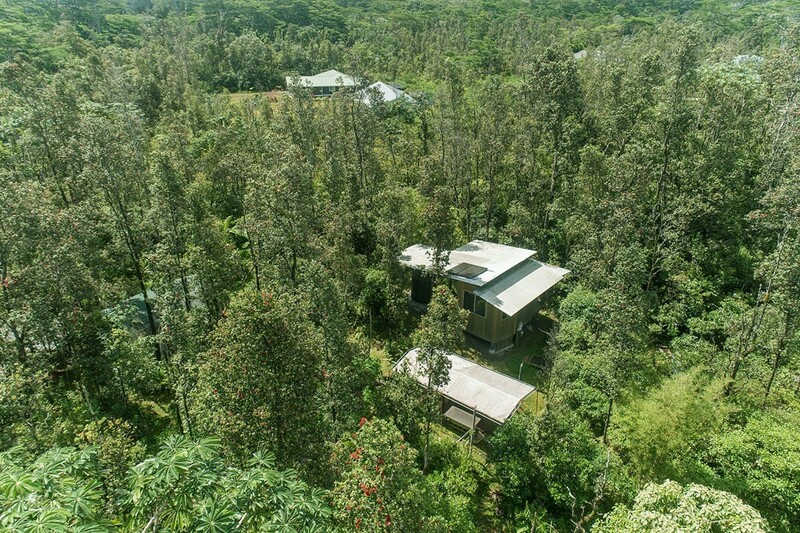 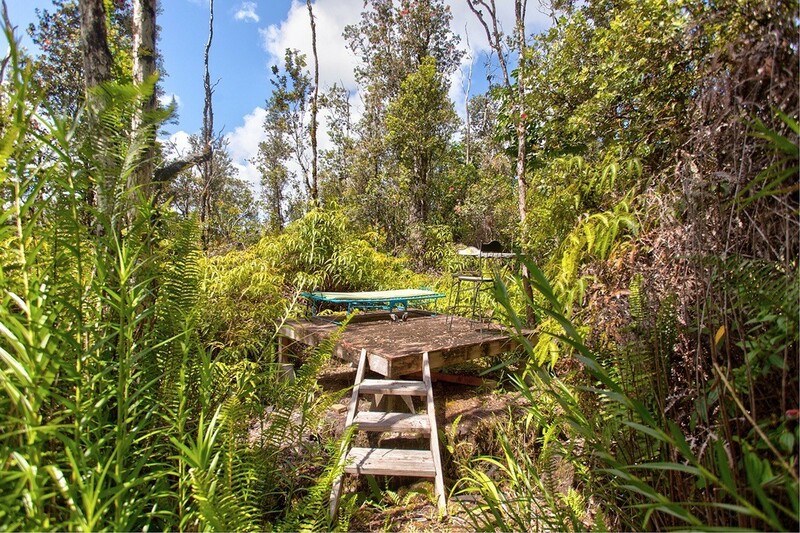 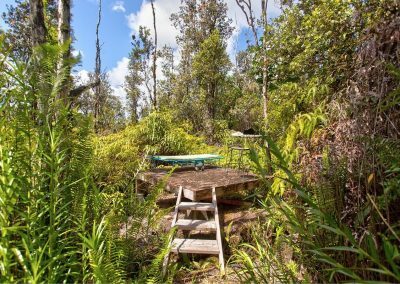 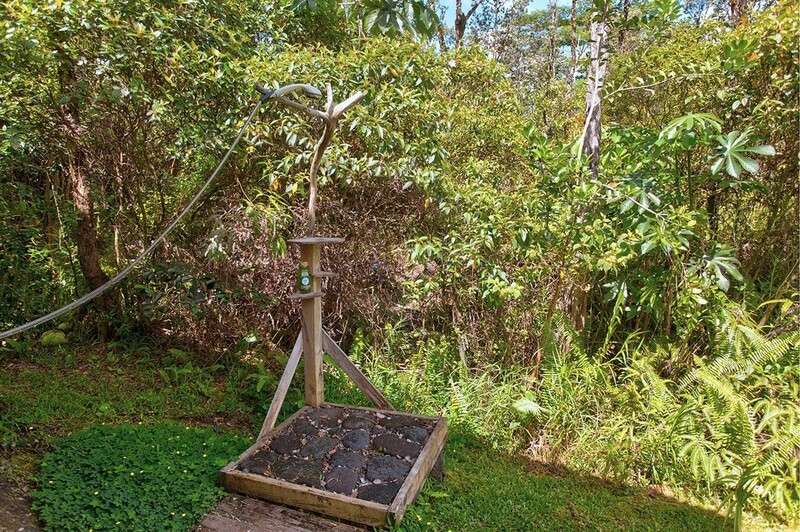 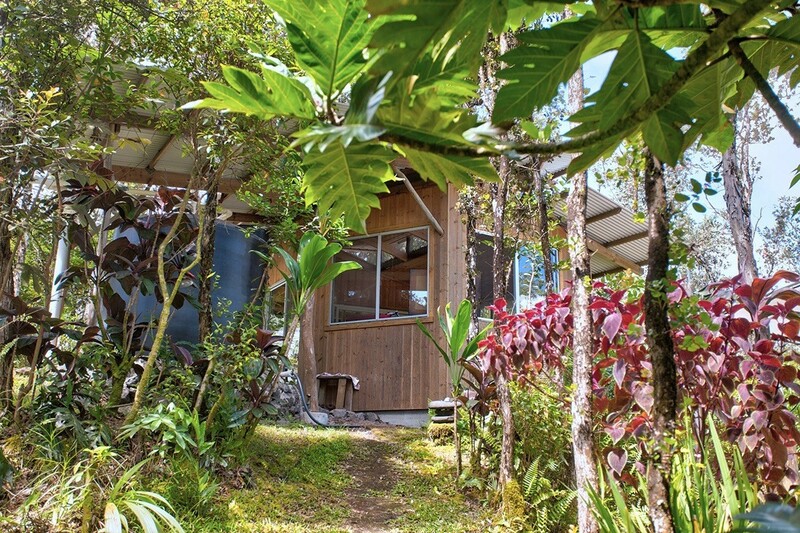 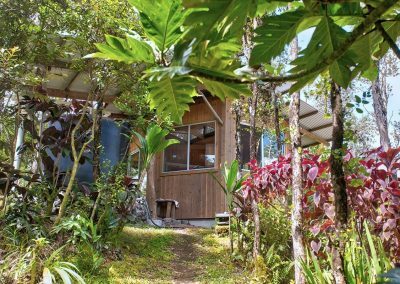 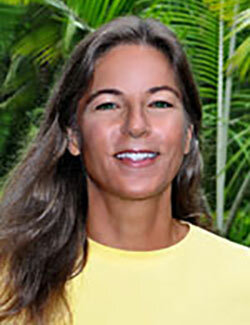 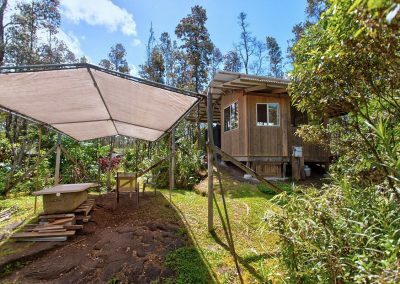 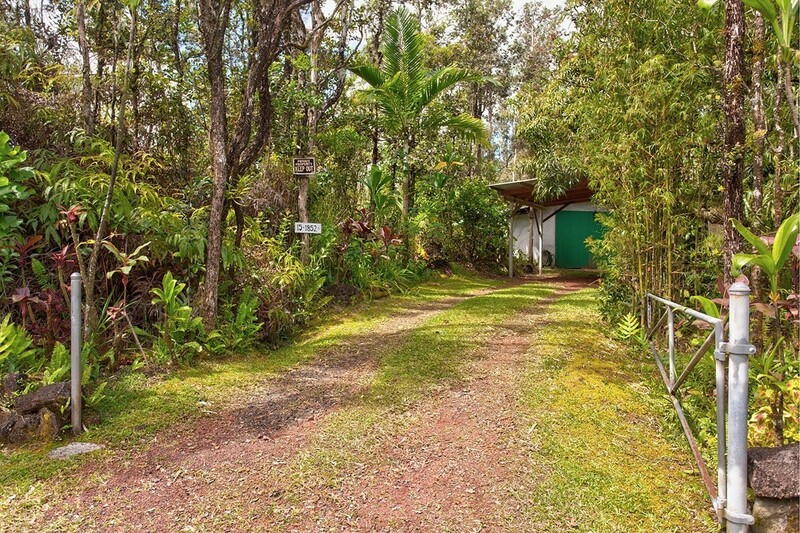 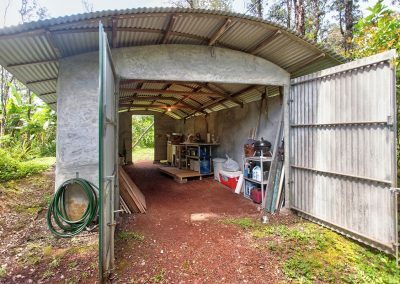 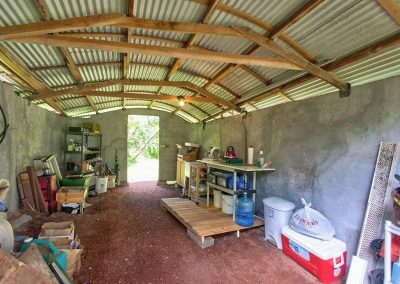 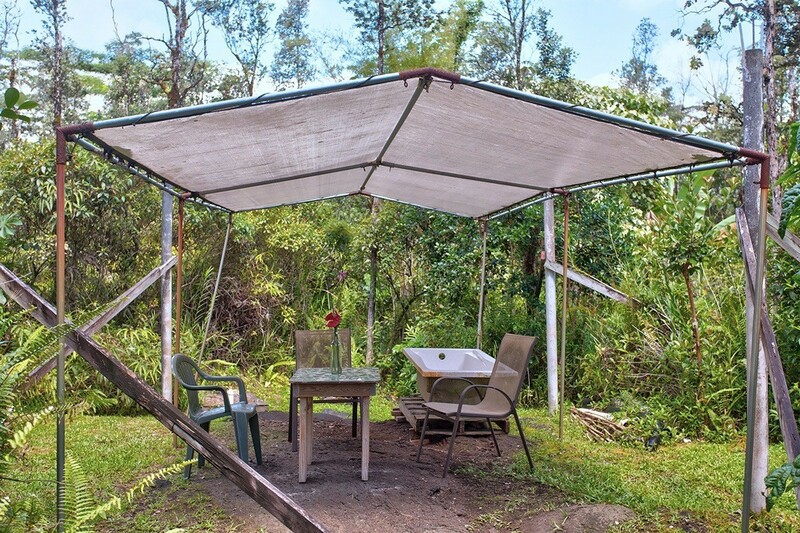 This property has all you need to live a simple peaceful life in Hawaii. 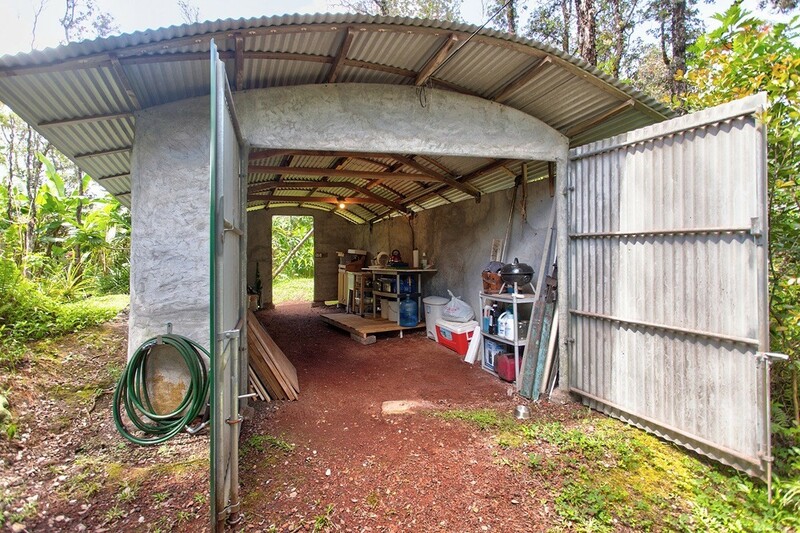 At the front of the lot is an approximate 200 sqft garage or workshop. 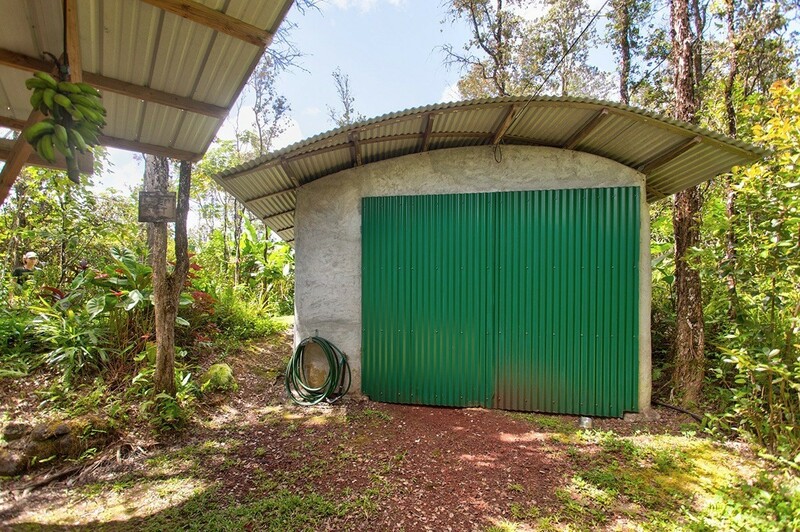 It is made of ferro cement for durability and security. 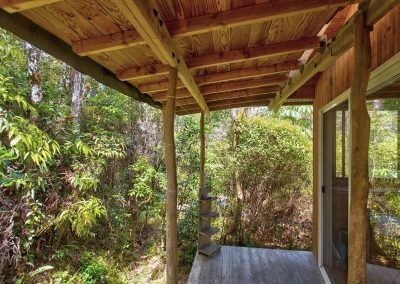 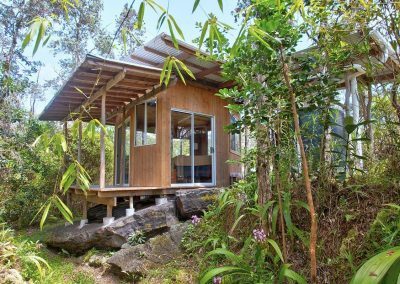 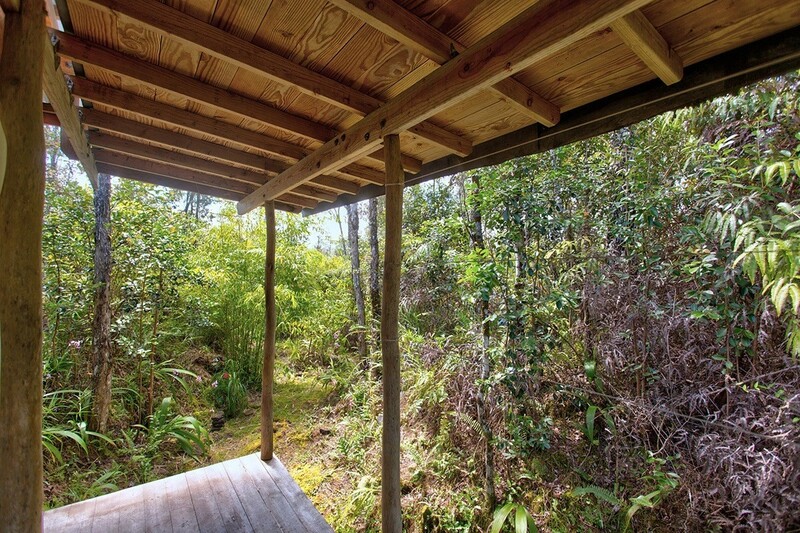 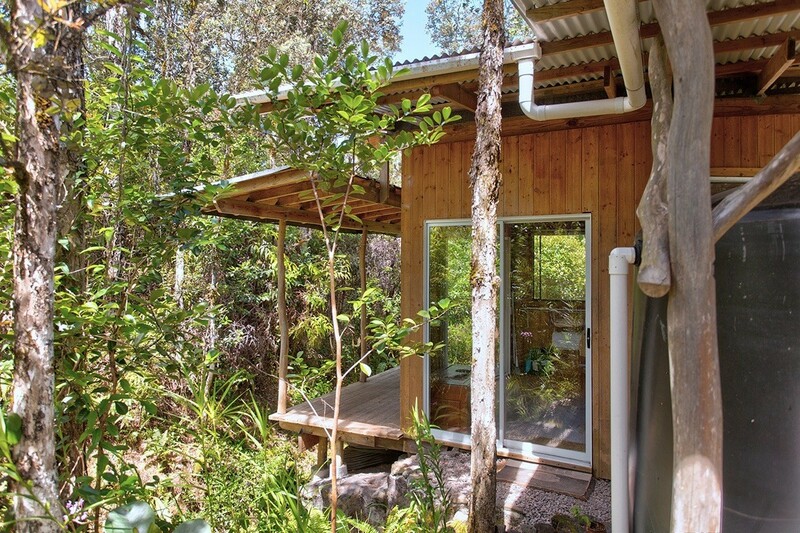 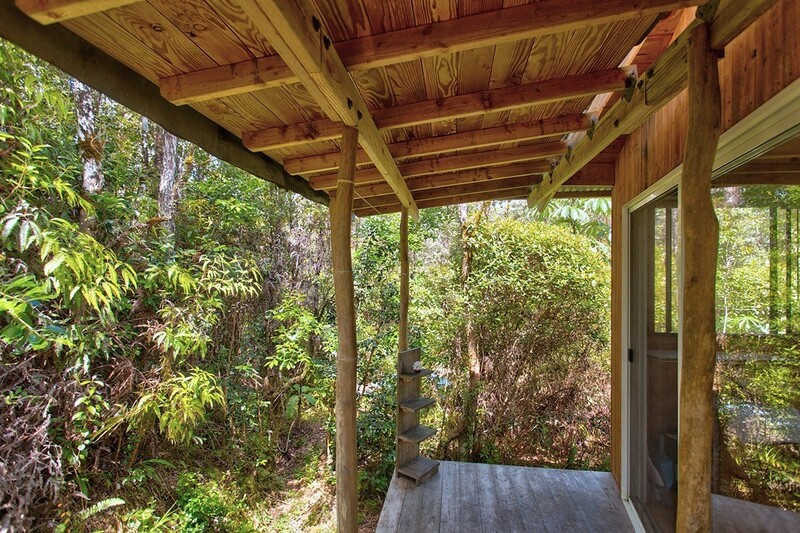 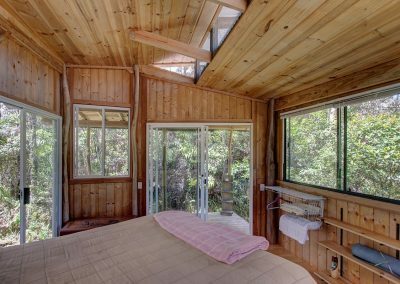 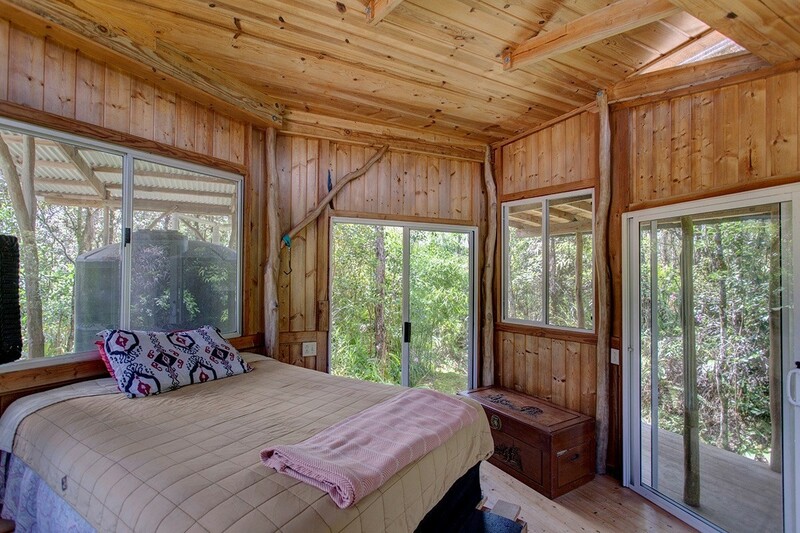 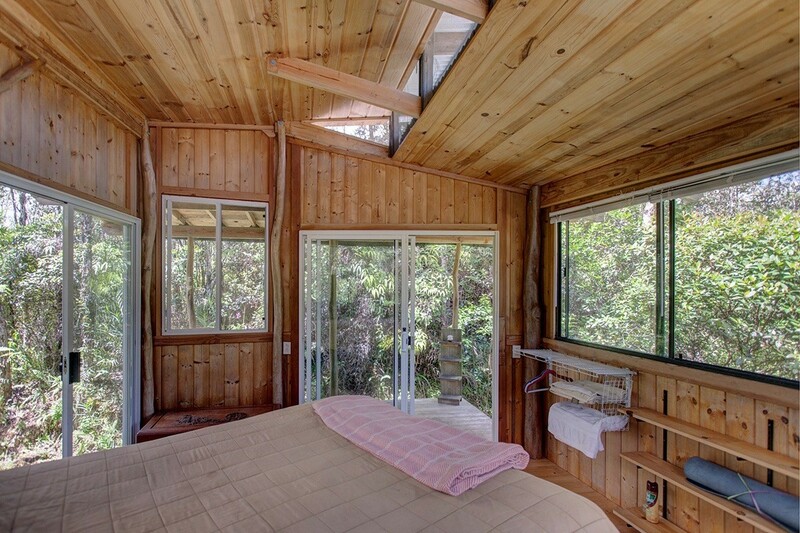 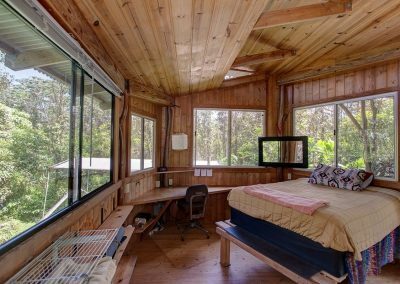 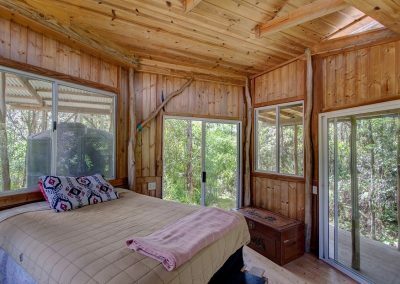 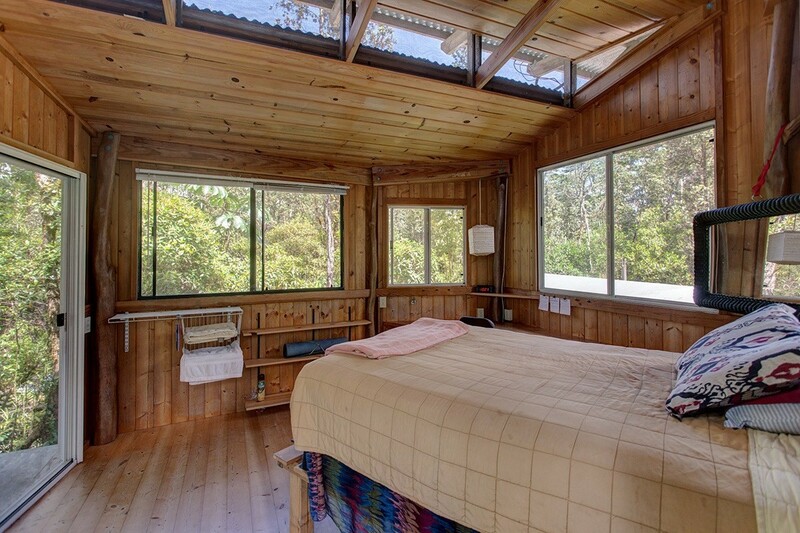 Down the pathway is an adorable sleeping/living cabin with large windows and a great lanai to enjoy the outdoors on. 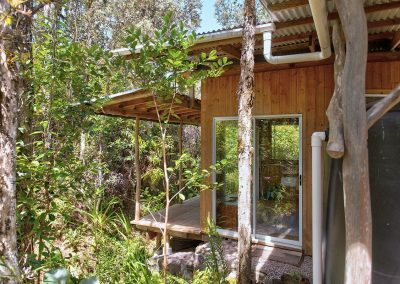 There is a rustic toilet along with an outdoor hot water shower. 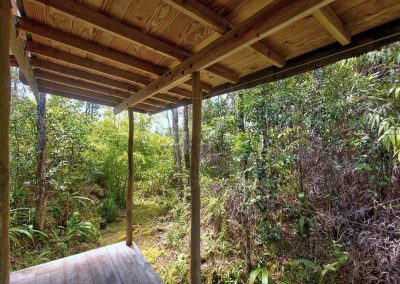 There is a wonderful sun deck tucked into the back of the property accessible through one of the many walking trails on the lot. 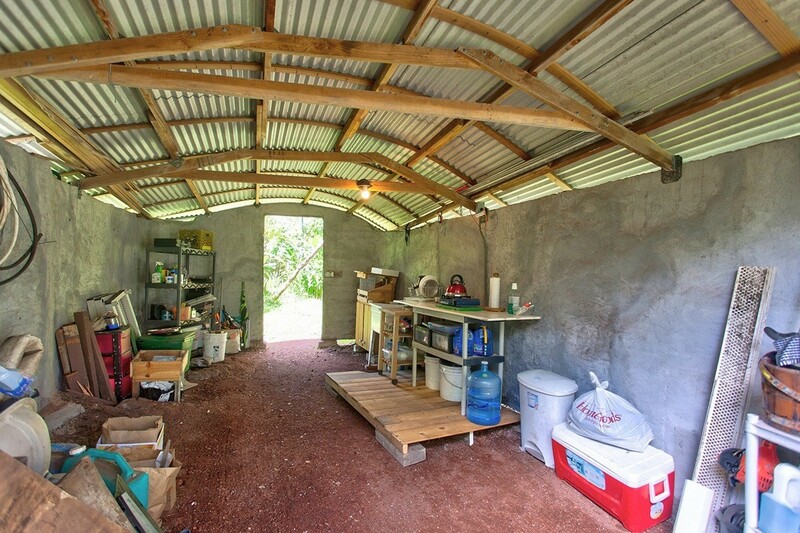 The “kitchen” area is outside among the beautiful gardens. 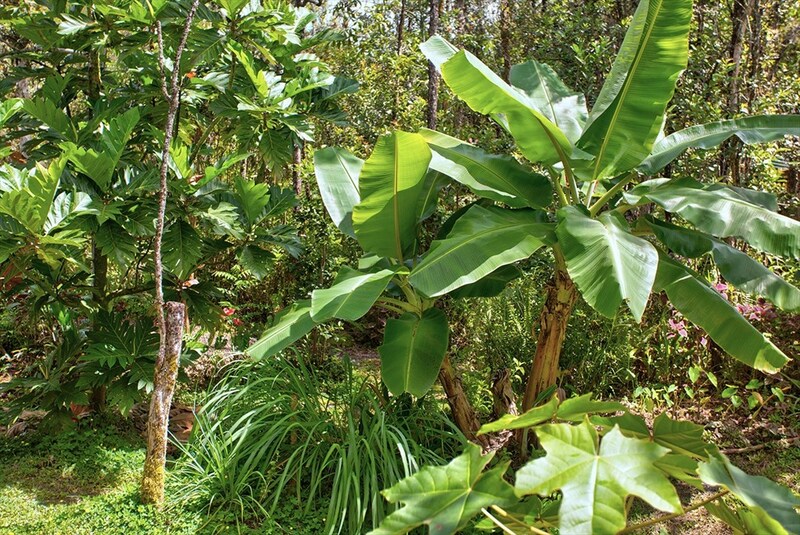 Fruit trees include breadfruit, banana, mango, papaya, citrus, coconut, Mac-nut and more. 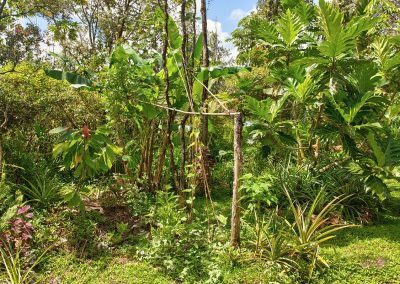 There are pineapple, lots of herbs, different berries, vegetables, sugarcane and many others (see completed list in addendum). 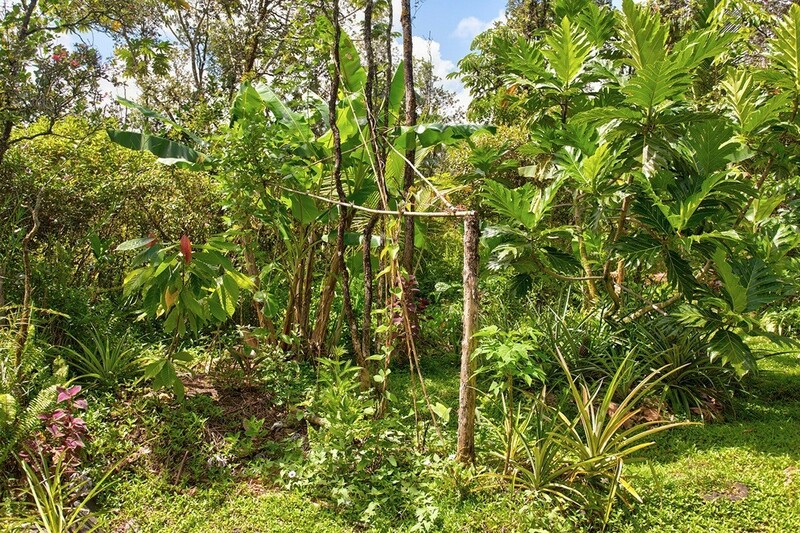 This property gets plenty of rainfall for expanding your gardens or developing a small agriculture project. 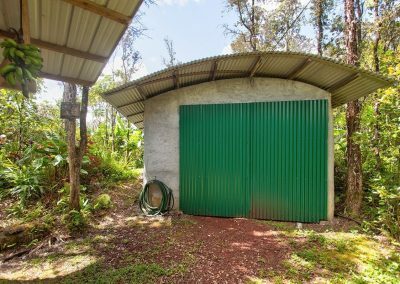 No CCRs in HPP. 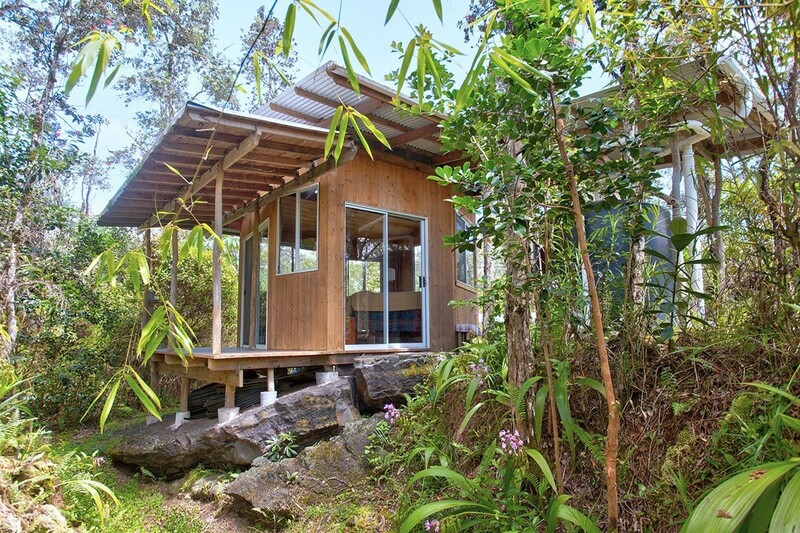 Electric is available or go green and live off-the-grid. 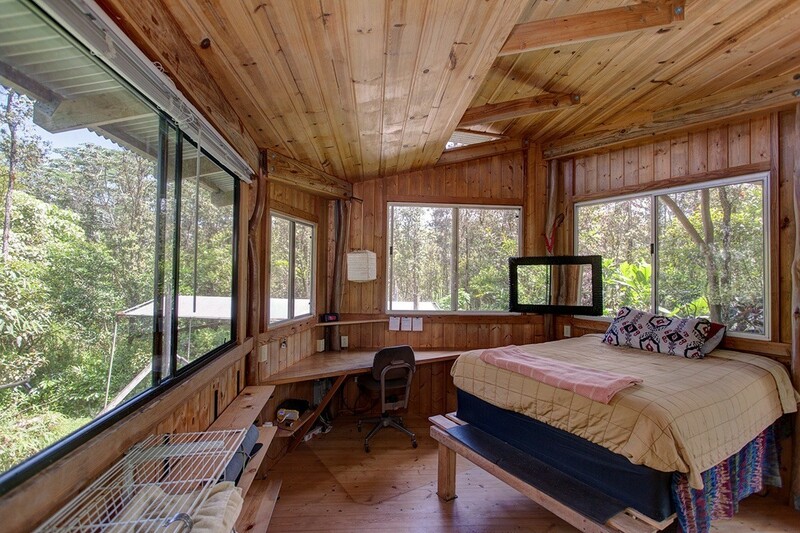 The property has two solar panels and 2 6-volt batteries. 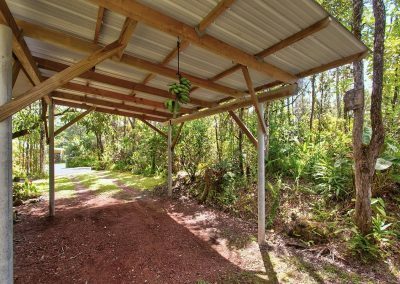 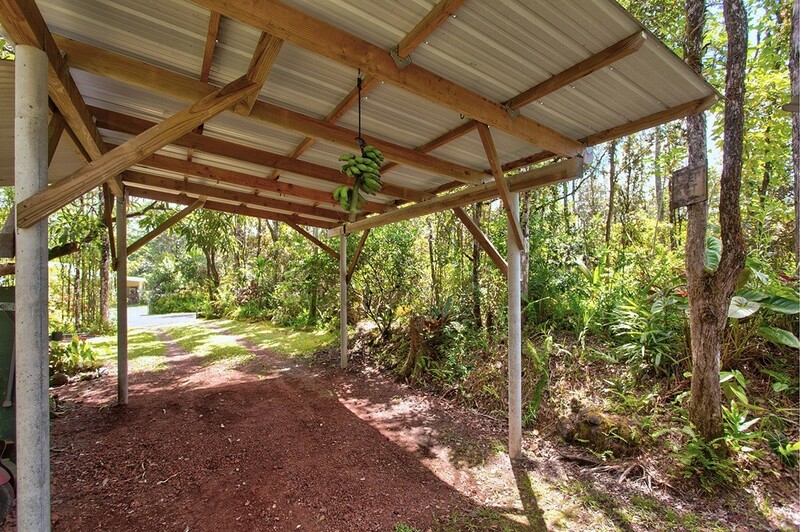 The lot is located near the center of the subdivision making for an easy drive to either Pahoa or Hilo. 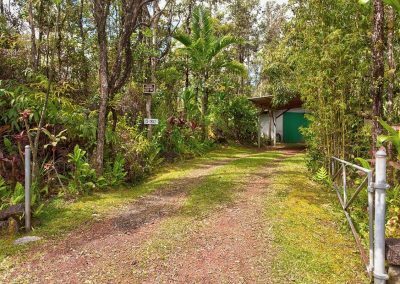 The shore line is a short 5 minutes away by car. 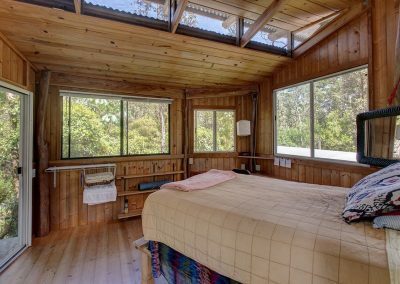 Simple and Peaceful. 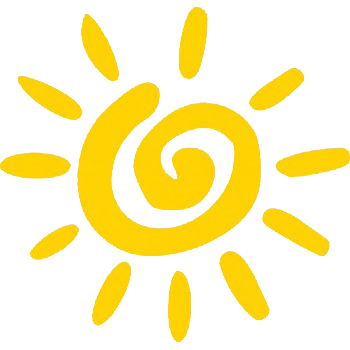 One you won’t want to miss.